The Minnesota Pollution Control Agency (MPCA) takes a watershed approach to restoring and protecting Minnesota’s rivers, lakes, and wetlands and, in the case of the binational Rainy-Lake of the Woods Watershed, works in collaboration with agencies in Canada wherever possible. In the U.S., the funds used to accelerate efforts to monitor, assess, and restore impaired waters and to protect unimpaired waters is funded by Minnesota’s Clean Water Legacy Act. The primary feature of the watershed approach is that it focuses on the watershed’s condition as the starting point for water quality assessment, planning, implementation and measurement of results. For each of the U.S. sub-basins in the Rainy-Lake of the Woods Watershed, the state conducts intensive water quality monitoring and assessments every ten years. 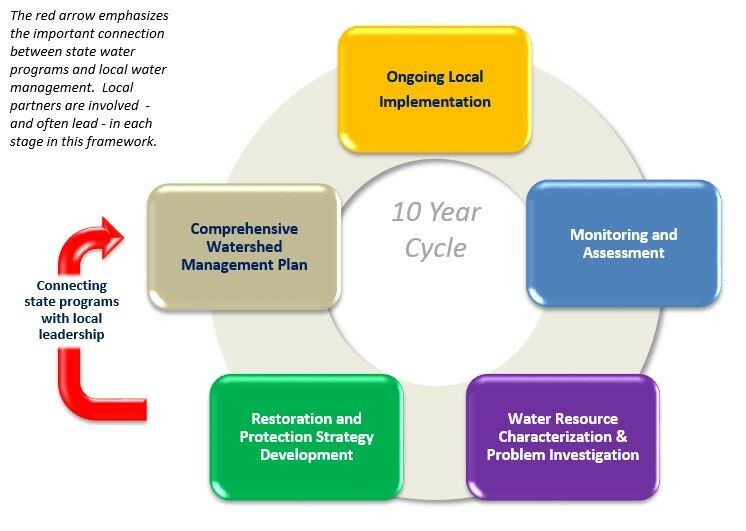 During the ten-year cycle, water quality conditions are evaluated, priorities and goals for improvement are established and actions are designed to restore or protect water quality. When a watershed’s ten-year cycle is completed, a new cycle begins. To find out more on Minnesota’s process and where each of the sub-basins are in their monitoring cycle, check out https://www.pca.state.mn.us/water/watershed-approach-restoring-and-protecting-water-quality. With numerous sub-basins in the Rainy-Lake of the Woods Watershed, all at varying stages of the WRAPS process, a story will be written on each one – check them out here to find out more about what’s happening with WRAPS in your watershed and what restoration plans are being considered.